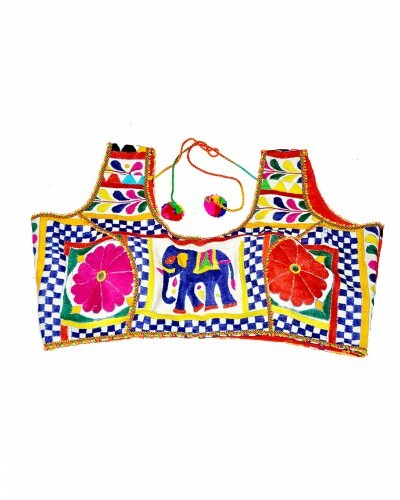 Embroidered traditional multicolor stitched blouse. Flaunt a nonchalant look wearing this saree blouse. Pair this blouse with a lovely georgette saree and be the showstopper. Look Gorgeous in your saree with these blouses made by kutch work. These vibrant and colourful threads woven into this choli can rock with any of your existing plain or simple designed sarees.